Who’s up for second place? The summer break cruelly takes Formula One fans away from their sport, but the return of the roaring V8 engine launches them head long into two historic tracks that offer two completely different races. This year Spa Francorchamps was a battle royale, comparable to the darkened sky of Sparta and gave us first corner thrills and spills. However, the passion and ferocity of Italy went above and beyond with the tree-lined asphalt of Monza gifting the spectators a spectacular race. Shame the result was utterly predictable. But it shouldn’t have been, this was supposed to be one of Red Bull’s weakest tracks, this was supposed to be a golden opportunity for the gritty power of Ferrari and McLaren to glisten in the Italian summer sun. We had no such luck, but why pout? The day was bright with Formula One, and the race was dictated from the moment the lights went out and a Hispania ploughed it way up to tenth. 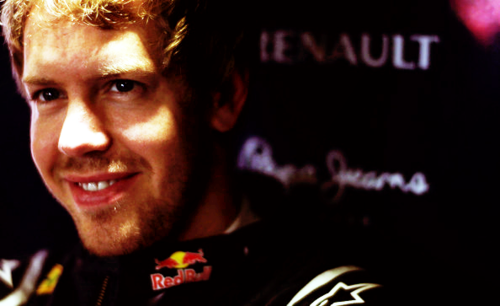 Sounds good in theory, but as Rosberg and Petrov found out an ambitious Hispania is a dangerous thing. 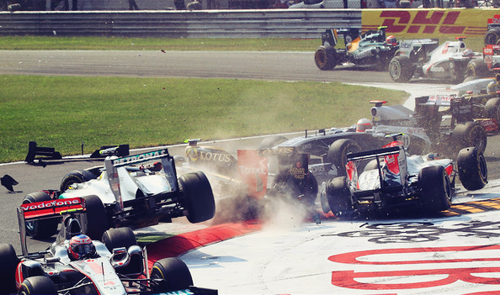 Ricciardo never got off the line, so it was Liuzzi who threw himself down the grass of the pit straight. As his tyres clipped the dusty edge his back end kicked out and, losing complete control he bashed through some expensive advertising and collected the unsuspecting drivers. 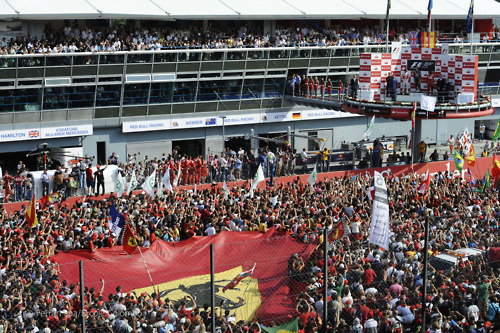 As the race unravelled for some, Alonso had another phenomenal start, three abreast with Hamilton and Vettel he took the lead in front of a jubilant crowd. Their man was leading, for the time being…But was an ambitious Hispania the only drama? Of course not. 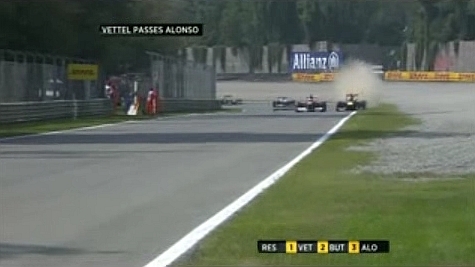 The lesser seen safety car pitted and BOOM there goes Webber into the back of Massa. Leaving a spun Massa behind Webber never made it back to the pits, sans front wing he lost it into Parabolica and thus another race ended. Can you handle any more? Course you can. Carbon fibre shards swept away, the next sector of the race was dominated by the almighty power struggle between old and new, past and present, Mercedes and Mercedes (engines, naturally). Schumacher took the lead on Hamilton and positively ruined his whole day by, yet again, being the widest car on the grid. He wowed in Belgium but he silenced the critics in Italy, it’s a country he served well in his Ferrari days and although he was caught weaving he escaped with only a stern word from boss Ross Brawn. Hamilton was caught napping off the safety car, and an extended period in Schumacher’s dirty air saw his only chance at a podium come in the dying laps but Alonso was having none of it. Hamilton’s conservative approach in Italy highlights the struggle he’s working through this year, and it was hard to watch fire that lit the critics up die down under the storm of his mistakes. The championship maybe all but officially declared, Vettel could technically win it in Singapore or at the very least leave it down to him and Alonso, but that did not detract from what was a very exciting race. 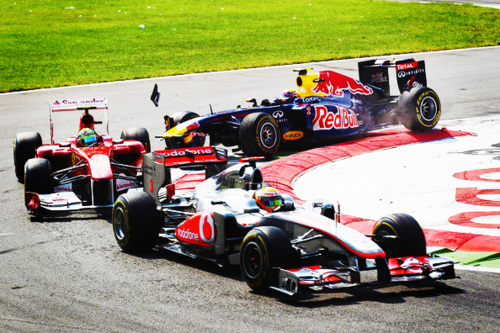 The mid field scrap was on with the likes of Force India, Sauber and Renault fighting for the remaining points. With both Saubers out of the picture, Toro Rosso once again stepped up the plate and making up for a disappointing trip to Belgium, Alguersuari finished in 7th, with Buemi in 10th. With 6 races left (yes, only 6) we leave the shores of Europe to head east to Singapore and the remaining flyaway races, and let’s be honest, it’s all about second place now. Retirements: Liuzzi (0) – accident, Rosberg (0) – accident, Petrov (0) – accident, d’Ambrosio (1) – gearbox, Webber (4) – accident, Sutil (9) – steering, Kobayashi (21) – gearbox, Perez (32) – gearbox. It depends who you support in this race, Schumacher if you wanted Hamilton to stay off the podium, Vettel if you want him to become the youngest double world champion, Button if you like a meteoric rise or even Alguersuari if you like an underdog come good. So who was the driver of the day? Might have guessed from the picture, but this one goes to the wunderkind himself. Equipped with a Toro Rosso throwback helmet his drive was trouble free, once he executed a brilliant pass past Alonso around Curve Grande, he owned the front of the field so much in fact he bought himself all the pit stops he could ever need. Special mentions: Senna for his first championship points and Alguersuari for another great drive into the points from 18th. They may not have had both drivers finish the race, but it was an undeniable showing of strength from a team deemed incapable of dominating the last two European races. Where engine strength and straight line speed is king, the masters of aerodynamics took the Italian circuit by the horns and shook it until it gave up the winning trophy. They might have to wait longer than Vettel to confirm their title, but like the young chap they are crushing the competition. Special mention: Let’s hear it for Team Lotus who, albeit out of sequence due to others’ pit stops, were running is a heartwarming 12th with Kovalainen. 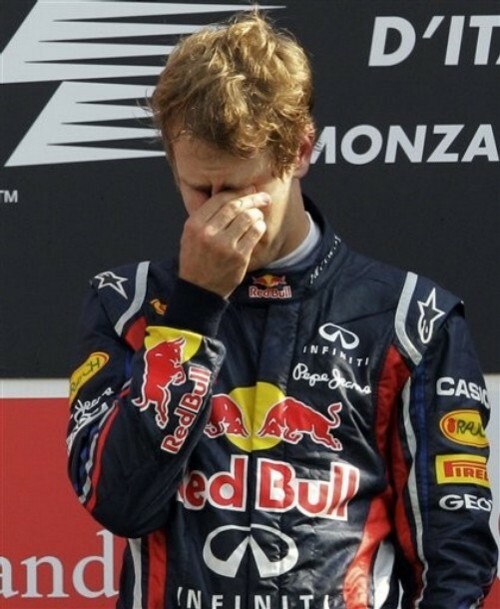 Also to Toro Rosso for another double points finish. Eagerness, ambition and desire to win are all great things to possess as a Formula One driver however patience, yes patience, is the hardest to get a grasp on and one of the greatest tools in ones arsenal. Too little patience at the start triggered an almighty coming together that ruined the chances of two drivers with a real chance of some decent points, the Mercedes driver had a promising race ahead of him by starting on the medium compound, and the Renault driver was also in line for a strong result, but we’ll never know. And then, by his own admission, Webber’s too-late bail out was down toa lack of patience. A rather optimistic attempt to get around the outside of Massa into the first chicane didn’t pay off and he launched the car off the high kerbs, tucking the front wing underneath himself. The Australian’s restart after the safety car was spot on, getting past Button with ease but it was a rookie mistake of not waiting that left the Brazilian bemoaning a chance at a podium. Which would have been Massa’s first since Korea last season, ironically the last time a Red Bull didn’t make it to the line. 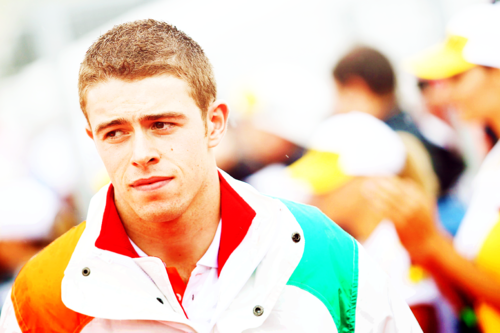 Paul di Resta kept himself out of trouble today to get yet more points for his team, helping Force India overtake Sauber by a point in the important constructor’s championship and confirmed his own status as the top scoring rookie. Another exemplary performance strengthens his chances of becoming the rookie of the year, and if he does, it will be a well deserved accolade. Special mention: Sergio Perez may not have finished the race, a tricksy gearbox ended his race as it did for his team mate, but on lap 32 he had only made a single stop and was heading home intending to do no more. His aversion to the pit lane is simply down to the Button-esque way his treats his tyres, and for a rookie to be so considerate from the first race onwards is something to be admired. Now who would have thought Vettel would be featured here? Why should he, he can’t overtake, he can’t deal with traffic….thing is, if you’re leading from the front you don’t need to, do you? But today he didn’t lead from the front, a three way from the start Alonso stole his pole which meant Vettel had to overtake if he wanted another Monza win. So he did it, on the outside and with two wheels on the grass he executed a great pass. Thanks! Possibly the best so far this year, but with 6 left anything can happen, and ususally does!